I put my head in this strange-looking atraption the other day. O boy, did I need a stiff drink after that experience! 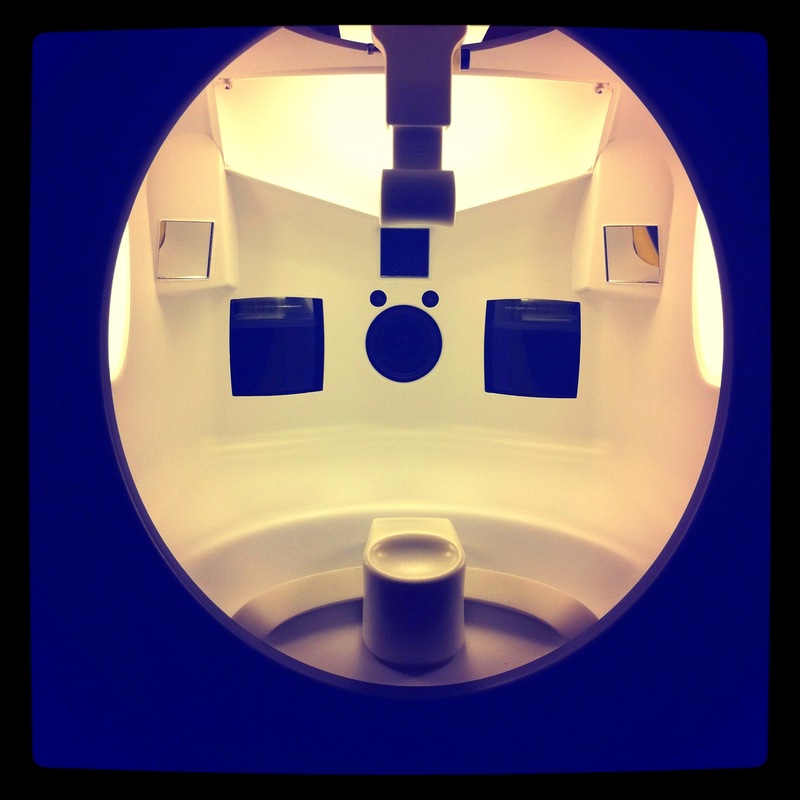 It’s actually not a toilet but a contraption that analysis your complexion, thoroughly! 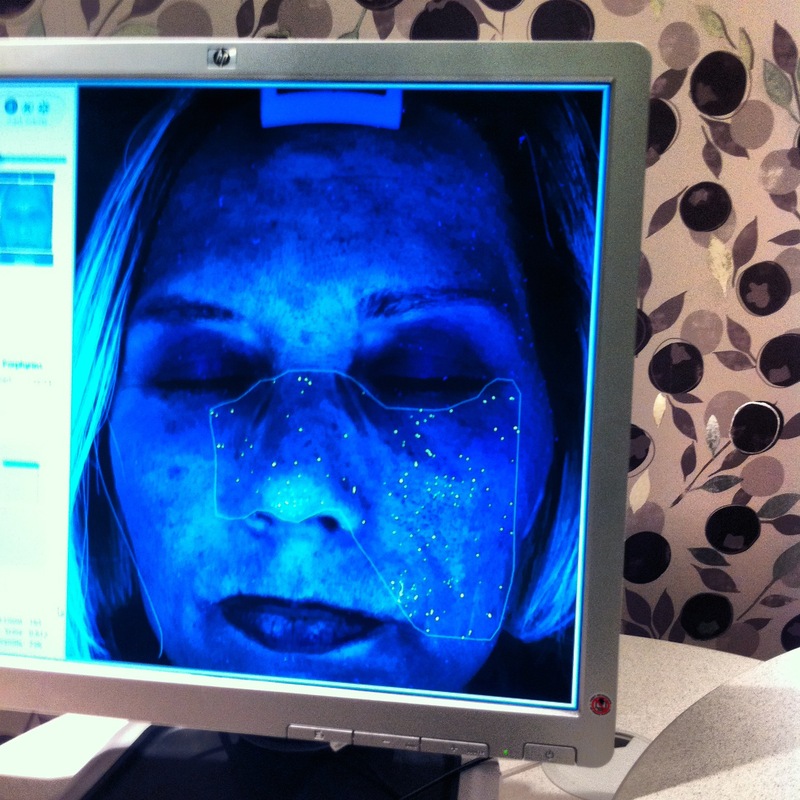 Wrinkles, sun damage, pore size, sagginess, bacteria, it’s all measured and photographed in six different ways. If this machine was in a plastic surgeons office I would have signed up for a complete makeover on the spot. Thankfully this VISIA machine can be found at the new Whole Foods Market in Piccadilly, London. And instead of suggesting that a scalpel was needed, different types of supplements and lotions were recommended. Hyaluronic acid is abundant in young skin but surprise surprise less so as we get older. It’s important for tissue repair and for keeping moisture in the skin. I have used HA Elite before and I will start taking it again. Vitamin C is of course an antioxidant, it fights free radicals and is also important for collagen production. The photo below is such a shocker, and actually one of the least terrifying ones!